Ford's loss of $129 million last quarter and sinking consumer demand have encouraged the company to combine employee pricing with 0% financing on nine models. So Toyota buyers won't be the only ones Saved By Zero. What's the catch? 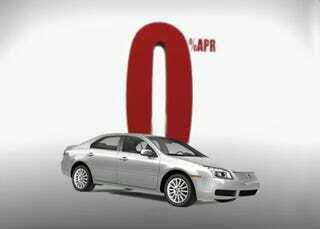 Zero-percent financing is only available on the company's nine most fuel-efficient vehicles. But here is where it gets complicated. The Employee pricing doesn't apply to the 2009 Ford F-150, but you can get 0% financing on the new F-150. This plan also doesn't include the 2009 Mercury Mariner Hybrid or 2009 Ford Escape Hybrid, two of the most fuel-efficient vehicles. If you were hoping to save money on a Shelby GT500 you're also out of luck. Press release with details below the jump.